“Hot-Air Balloon” with your loved ones, is a Lifelong Memory in the making! 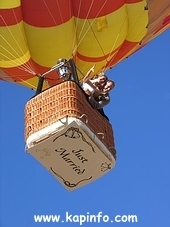 Wineland Ballooning offers daily scenic Hot Air Balloon flights over the naturally beautiful Berg River Valley, one of South Africas famous wine regions. On nearly every flight, while gently floating away, can we see majestic Table Mountain in the distance and on particularly spectacular days you may even see the Atlantic Ocean with the “Cape of Good Hope” 100 km away. Each flight is totally unique and no two flights are exactly the same. South Africa´s famous wine country offers fine dining, extraordinary wines, exceptional accommodation and stunning vistas. Why not spending your holidays in Paarl, one of the oldest towns in the Winelands of the Western Cape? The “Pearl of the Boland-Region” offers world-class wine cellars, majestic mountains and great hospitality. At our “PAARL ROCK SUITES” we offer you fully equipped, comfortable apartments, friendly atmosphere and all the help you need to explore the Western Cape. You will soon feel at home and come back as a friend. Click: Watch this Video which we did for Kulula: First ever braai in the sky! We are still the one and only "legal" CAA certified Balloon Operator based in the Western Cape. We Own our balloons and maintain them according to International Standards. We also ARE insured. 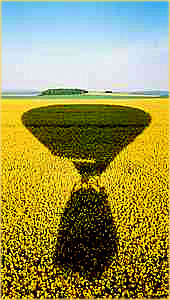 Since more than 29 years we have shared this world class Ballooning Adventure with visitors and locals alike on SCENIC and QUALITY Balloon Flights. We fly High and Far in a weather wise difficult enviroment but kept a spotless Safety Record. Please join our list of celebrities and other happy guests to witness our true commitment to provide safe and enjoyable Hot Air Balloon flights for yourself. Wineland Balloonig, Paarl near Cape Town offers Hot Air Ballonflights, Ballon Rides and a Balloonflight with Balloons in Paarl near Capetown in the Winelands of the Western Cape of South Africa for more than 29 years & is one of the most exquisite things to do. Wineland Ballooning offers the unique and exclusive adventure of Hot-Air Balloon flights in the beautiful wine region around Paarl, Southafrica. Enjoy the wonderful feeling of floating through the sky as slow as a cloud and as free as a bird. Fly near the most southern tip of Africa the Cape of Good Hope and see Table Mountain in a distance. You will be thrilled by the blues of the silhouette of the Paarl Rock and the endless rolling wheat fields glowing in the sun. Wineland Ballooning is a South African registered non-scheduled Airline operating at highest standards of service since 1990. We are licensed and checked by the SA Civil Aviation Authority and pride ourselves with an impeccable safety record of over 2500 flights. We also offer luxurious Self Catering Accommodation with our Paarl Rock Suites and Holiday Apartments. We are not a Bed and Breakfast as such but your Holiday Apartment will be of the highest standard & fully furnished. The Flats or Appartments are in walking distance of good restaurants and the 5 star Grande Roche Hotel. The Boschenmeer Golf & Country Estate in the Fraanschoek Valley with Paarl Golf Course & Pearl Valley Golf Estate Golfcourse is just across the Berg River. It is 5 min. to the N1 Highway and only 55km to Cape Town´s Waterfront and a little further to the Cape of Good Hope. You can visit Franschhoek and many world class Wine Estates like Fairview, Nederburg or the KWV Cooperative nearby.